What does it mean that Jesus calls himself the “Son of Man?” Well, Jesus declared that He is God and the Bible also tell us that he became flesh. In John 1 it lays out both of those claims in verses 1 to 4, it makes it clear that he is God. In verse 14 it tells us “he became flesh.” We call that the hypostatic union. That God had not previously been flesh, but God took on flesh and God became a man and dwelt among us. Both fully God and fully man, coming together. The kenosis of Christ means he is emptying himself and becoming like a man, so he could die on behalf of man for our sins. In fact, Ephesians 2:5-8 explains it very clearly, “though being in the form of God, he is concerned that nothing to be grasped, but he emptied himself, becoming the form of a man.” We call that the kenosis of Christ. But being the, “Son of Man”, not only does that term relate to us as individuals recognizing that he is a man, but it’s also a claim to his his deity. In Daniel 7:13-14, you see the “Son of Man” reference. 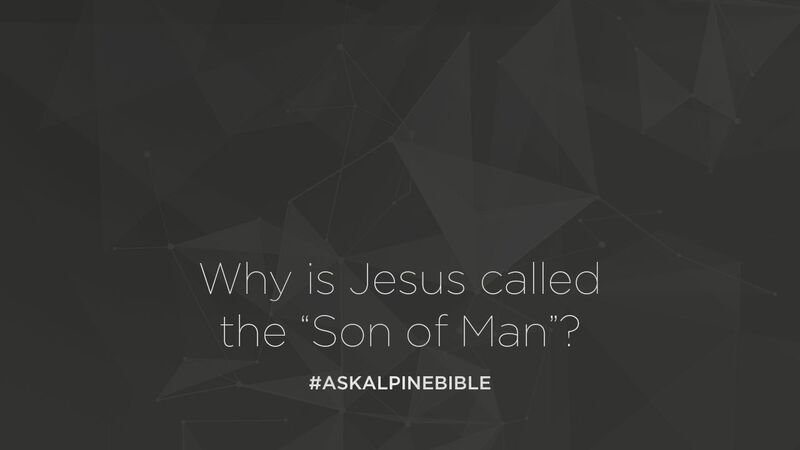 In fact, the phrase “Son of Man” was Jesus’s favorite way to refer to himself. If you look as you read within scriptures, Christ never calls himself “Christ.” He allows other people to refer to him as the “Anointed King”, but he himself never uses that term. I think the reason is because Israel had a preconceived idea of what the Christ, or the Messiah, would do. They are looking for an earthly king and Jesus said, “My kingdom is not of this world.” So Jesus chose to use a phrase to refer to himself that didn’t have the the preconceived ideas that the phrase “Christ” did. Or that God and his kingdom did. So he chose the phrase “Son of Man” In phrase in Daniel 7 still was a claim to deity, because it tells us that the “Son of Man came on clouds” which is a picture of deity and that his Kingdom, which Jesus came to present, was an everlasting Kingdom. Which it is because he is eternal God. So the phrase, “Son of man”, when it is understand within the Old Testament, is the claim to his deity. It points to his identity and him coming as a king would reign for eternity.